The environmental catastrophe following the sinking of the Deepwater Horizon oil rig in the Gulf of Mexico has been rated without doubt the worst of its kind in the history of oil and gas exploration and production. Even now, the effects remain fresh and haunting the Gulf Coast and the entire conclave. One wonders, what has happened to a nation that is seen to be experienced in averting such catastrophe taking cognisance of the fact that they have strong legislative and institutional arrangements to deter such incidence. Just as the events in the Gulf Coast unfold, reports had it that KOSMOS, the company exploring oil in the Ghana’s Jubilee field, has spilled 699 barrels of mud which contains poisonous heavy metals on three occasions that could affect Ghana’s ecosystem. On twenty points recommendations by a Ministerial Committee set up by the Ministry of Environment, Science and Technology, Jubilee’s partner, KOSMOS, was accordingly fined $35 million for negligent spilling (Ahiable, 2010 and Joy Business/Ghana, 2010a). 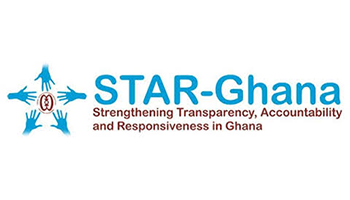 The award of the fine immediately raised concerns and debates among civil society and the Ghanaian society about the methodology or what might have informed the figure particularly the speedy and non-transparent manner of the investigative process. In response to the payment of the fine, KOSMOS rejected the payment of the fine premised on the fact that the fine is "totally unlawful, unconstitutional, ultra vires and without basis." The company is said to have also argued that the Minister had no power under the Ghanaian Constitution or any other law of the country to impose a fine on any person in the event of an oil spillage (Joy Business/Ghana, 2010b). The posture of KOSMOS frightens all well meaning Ghanaians as to what await us in the near future, in case, God forbid, there is an occurrence of what happened at the Gulf coast. 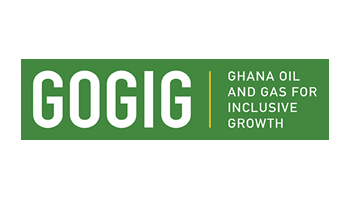 In this essay, long-term solutions and possible policy and legislative issues are discussed to engender fundamental changes to business-as-usual practices and attitudes on the part of Ghana and oil exploration companies. A cursory glance through the provisions of the 1992 Constitution of Ghana and other relevant legislations on oil and gas exploration and production seems to suggest that KOSMOS might be right in its claim under the law but not for having negligently spilling oil; particularly when the case is yet to be sent to any court competent jurisdiction for redress. On the hind sight, it could be asked whether KOSMOS is not under any international obligation to ensure the safety of the marine environment by avoiding negligent oil spills. According to Tim Stephens, a senior lecturer on the law faculty at the University of Sydney and the co-author of a forthcoming textbook on the law of the sea, tremendous body of international law exists in addressing oil pollution, dealing with matters including construction and seaworthiness of ships, safety of navigation, pollution response, and liability. However, the international maritime conventions apply “primarily or exclusively” to accidents involving tankers (Galbraith, 2010). They do not apply to accidents involving oil platforms, like the Deepwater Horizon spill. This is certainly an omission that has eluded the international community for far too long that needed urgent attention. Nevertheless, the passage of Oil Pollution Act in 1990 (OPA 1990) in the event of Exxon Valdez oil spill has informed many nations legislations to improve their oil spill prevention and response. OPA 1990 provides guidance for government and industry on oil spill prevention, mitigation, cleanup and liability. The majority of OPA 1990 provisions were targeted at reducing the number of spills followed by reducing the quantity of oil spilled. OPA 1990 also created a comprehensive scheme to ensure that sufficient financial resources are available to clean up a spill and to compensate persons damaged by a spill. In spite of the seemingly gap in both state and international law regimes governing oil spillage from oil platforms, KOSMOS is under moral obligation to adheres to international best practices in spilling oil from the Jubilee fields. The omission in the international law regime ought to be addressed by Ghana with the Petroleum (Exploration and Production) Bill. Steps must be taken to incorporate some aspects of the OPA 1990 particularly regarding pollution from oil spills and its management and liability since the nation is yet to promulgate a substantive law on pollution or environmental damage resulting oil spills. In doing so, the law must also be applicable to oil platforms, ships or tankers and also recognize both offshore and onshore oil exploration and production. Article 194(2) of the Law of the Sea Convention (LOSC) requires states to “take all measures necessary to ensure that activities under their jurisdiction or control are so conducted as not to cause damage by pollution to other States and their environment, and that pollution arising from incidents or activities under their jurisdiction or control does not spread beyond the areas where they exercise sovereign rights in accordance with this Convention.” This is a reflection of the general duty for states to prevent pollution by activities within their jurisdiction from affecting other states and it is therefore arguably binding on all states as a matter of customary international law. In the spirit of the Article 194(2) of the LOSC, as long as States take steps not to cause damage by pollution to other States, the states themselves are secured from damage by pollution. 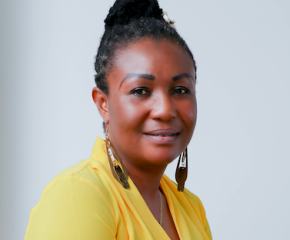 Although Ghana has ratified this convention, the extent to which the convention has been internalized into national environmental legal frameworks is very minimal. It is very important that international conventions inform Ghana’s domestic laws since the country’s businesses involve multilateral companies. The BP disaster saw the Defenders of Wildlife filed suit against Minerals Management Service (MMS) (now known as the Bureau of Ocean Energy Management, Regulation, and Enforcement) for its failure to require a thorough examination of spill risks from drilling operations. The law suit filed against the regulatory agency, MMS, suggests that as much as Ghana would like Oil Companies to account or pay for any environmental damage, Ghana’s regulatory agencies such the EPA must also be made accountable to the people of Ghana. According to Ahiable’s report (2010), EPA had no clue of what actually happened during the Jubilee oil spillage, but sent a team to investigate the incident. EPA must at anytime demonstrate beyond any reasonable doubt that the environmental damages that have occurred are not lapses in the performance of its statutory duties. Civil Society and Parliament should not shed its oversight role entirely to the Petroleum Commission, EPA or Ministry but rather stepped up. At any point in time, Civil Society and Parliament must demand accountability from these regulatory agencies. Parliament must as matter urgency demand environmental damage response plan from the EPA for scrutiny. The Petroleum (Exploration and Production) bill must require that such plans be reviewed annually and updates on the offshore environment be presented to Parliament quarterly and if possible the updates gazetted. The situation where EPA hardly submits its annual report to Parliament or make it publicly available must be a thing of the past. Even if the report is ready or presented to Parliament it dates back to 2 to 3years. KOSMOS claim that no Minister or Agency has any legal mandate to fine them indicates that there might be little problem with our institutional arrangement in the management of the environment and the exercise of powers in enforcing compliance and award of fines. The irony of the claim is that when Newmont Ghana Ltd. was fined by the same Minister upon a recommendation of Ministerial Committee on cyanide spilled by the company, the company did not bulge but submit itself to the laws of the land while in the case of KOSMOS, there was an outright rejection questioning the authority of the Minister. Perhaps, it could be that the incidences happened under different ecological and exploration settings and therefore are mutually exclusive. There is therefore likelihood that with the establishment of the Petroleum Commission, the apparent institutional problem might be compounded. The current Petroleum (Production and Exploration) Bill must quickly address the institutional problem by establishing clearly, the rules of engagement and coordination efforts in the management of Ghana’s marine environment. It must also identify the lead agency or authority in this regard. The powers of the institutions involved should also be clearly stated. Ghana Maritime Authority could also be invited as part of the institutional step-up because it has a role to play as per their functions and expertise. Compensations must reflect the full cost of the damage – environmental, national security, socio-economic costs and clean-up cost. Under the Oil Pollution Act, companies are liable for a maximum of $75 million for oil spill response and cleanup. Capping liability excites risk taking. The BP and Exxon Valdez oil spills have drawn the public understanding to the fact that the fine is woefully inadequate and are demanding for the repeal of the cap. The Exxon Valdez oil spill resulted in an estimated $3.4 billion in fines, compensation, and cleanup costs, and a court settlement of $2.5 billion in punitive damages that took decades of lawsuits after the incident and was ultimately reduced by the Supreme Court to $500 million in 2008 (Maag, 2010). BP’s oil spills cost has estimated to be around $100 billion. There is yarning gap between these figures and the cap figure in the OPA. These figures certainly can encourage risk-taking by the industry and violates a basic principle that polluters should pay for their mistakes. Unfortunately for Ghana too, Clause 47 of the petroleum (exploration and production) bill which deals with offences and penalties which may be applicable to environmental damage seems to have a liability cap and needed to be critically examined. While some offences can be capped others cannot particularly those that bother on environmental degradation. This is because valuation of environmental degradation is full of uncertainties. The clause also falls short of the tested valuation method or techniques to estimate an optimum compensation for any liability. Legislative instruments on best practice valuation methods or techniques would do a lot of good to Ghana. The hasty manner the penalty for the jubilee oil spills raised eyebrows as to which methodology or formula was adopted particularly when experts all over the world recognised that almost all ecosystem valuation methods or techniques have shortcomings, not even the acclaimed Contingent Valuation technique. Compensation allocation regimes for causing an environmental damage in Ghana live much to be desired. Let’s take the Newmont Ghana Ltd cyanide spillage case. According to the Ministerial Panel appointed by the Minister of Environment, Science & Technology, 45% of the compensation will be used to meet some development needs of the affected communities, 40% will be paid to the Environmental Protection Agency and the remaining 15% goes to the Inspectorate Division of the Minerals Commission (Myjoyonline.com/Ghana, 2010). Clearly, the percentage allocations are an unacceptable since no allocation was made for environmental clean-up or to clean the polluted river. A blatant violation of the polluter pays principle. The petroleum exploration and production bill must address this by providing amendments as to which formula to adopt in the allocation of compensation with emphasis on environmental clean-up cost. On the other hand, the bill could provide that in such eventuality a formula on allocation of the compensation be presented to Parliament for consideration and approval. A successful combating operation to a marine oil spill is dependent on a rapid response from the time the oil spill is reported until it has been fully combated. In order to reduce the response time and improve the decision-making process, application of operational tools such as Geographic Information Systems (GIS) and Remote Sensing Technologies are very essential. The usage of these technologies in oil spillage management must be sanctioned by the Law and resources for implementation made available. With these technologies, information on the exact position and size of the oil spill can be plotted on maps in a GIS environment. GIS also offers opportunities for integration of oil drift forecast models (prediction of wind and current influence on the oil spill) in the computer program framework. Also, modelling exercises using the GIS can also assist in assessing the adequacy of any given oil spill contingency plan (Parthiphan, 1994). We need to resource EPA to be able to set-up a unit within the Agency or National Oil Spill Detection and Response Agency (NOSDRA) as in the case of Nigeria to effectively utilise these technologies in the prevention efforts of the country. In the wake of the oil spills from the Gulf Coats, BP had tried and failed at a number of solutions to stop its underwater geyser of oil. Of all the blowout preventers put in place, nothing seems to have worked. BP’s final solution was a relief well. The relief well technology involves drilling a new well to meet an existing well shaft a couple of miles below the ocean floor to divert oil into it while taking the pressure out of the main well shaft allowing it to be capped (Brain, 2010). A major setback with relief wells is time. It took BP two to three months to get the first relief well in place. 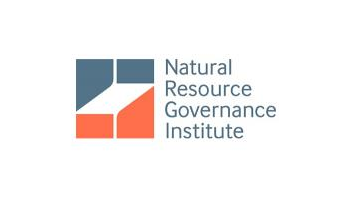 GNPC must impress upon drilling companies to drill their relief wells first, before they strike oil or drill 75% of it. Then, if there is an emergency, it would take days to finish the relief well rather than months. An ounce of prevention is worth a pound of cure. Not cheap, but a great insurance policy. One technology that could have been useful in the Deepwater case is an acoustic valve to shut off the well by remote control in an emergency (Galbraith, 2010). Government as by way of policy measures can provide incentives to encourage oil exploration and production companies to acquire this technology. As an anonymous expert has once said; “where there is oil; there is spill”. Also, bearing in mind that this is not the first time an oil well had sprayed millions of gallons of oil into the marine ecosystem, and it will not be the last unless we develop regulations to prevent it. Ghana can provide the best cases study in environmental management of the oil industry if appropriate investments are made both by the country and oil drilling companies in technologies such as GIS, Remote Sensing and Relief Wells.